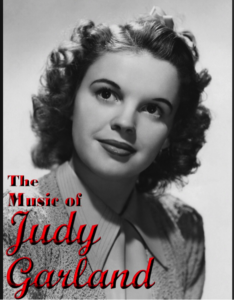 Flash back to the 1940's and revisit the Golden Age of Judy Garland! Hear her classic songs such as "Over the Rainbow," "Made Me Love You" and more. This one woman show will feature Ruby Rakos, star of the Broadway bound production CHASING RAINBOWS: THE ROAD TO OZ. Don't miss out on this exciting event!